Welcome to Day 21, if you are just arriving for the first time all the details and the linkup can be found HERE. Today we have Waffle Flower Crafts as our sponsor and guest. Waffle Flower is offering to one lucky winner a $25 gift certificate for their online store. 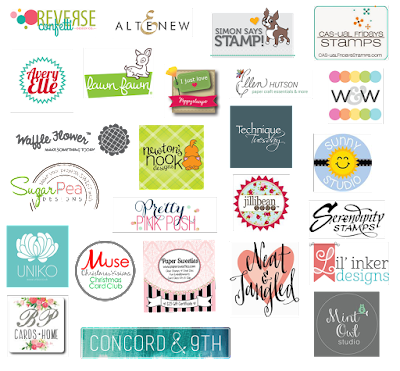 Remember there are so many ways for you to get multiple chances to win--by following the blog hop each day and commenting on the posts or by participating and making tags of your own. As I have no stocking or present dies/stamps, I think I'm going to choose the black background tags as my inspiration for today. I'm planning to make something based on the colour scheme... let's hope it works out! Awesomeness again over here, love, love it especially those Santa pajamas how cute are they?!!!!!! I finally got caught up with all the tags so hopefully i will be able to make some pajamas today!!!! Today's tags are all fabulous! Love Channin's 2nd set with the text behind the stockings and your plaid Santa's are so darn cute! Ohhhhhhh I love love love these!!! LOVING those Santa PJ's from you!!!!!!!!!!!!! Your pajama tags are so clever and adorable Tracey! I love how the white sentiment pops against the black background; I'm going to have to try that. I love the idea of Santa's pajamas! very cute, and I love the plaid! More adorable tags .... I love the black background with white text. I'm going to have to give that a try. Really makes those images pop!! I love Channin's stockings! but Tracey! Santa's pjs are in such gorgeous plaids! Another great day of tags - they can be used for so many things and I just love them! I'm getting ready to make gift tags for all the Christmas gifts I already have and these are wonderful inspiration! Thanks so much! Very cute stocking tags and love the Santa pajamas! Fabulous tags today! Love them all! I'm feeling inspired to break out the plaid! Tracey, your Santa tags are so adorable! And I love those cute stockings by Waffle Flower. Cute selection of tags today. I find the white-on-black with a pop of color to be especially striking. Simply adorable....just love all those sweet tags! fun inspiration today - love Channin's black background tags! it's the same basic idea. Oh my gosh! The stockings are fabulous; the plaid pjs, awesome! I need a pair...in each colour you've showcased! Fun, fun and more fun! Love Channin's pretty stocking tags!! And, your tags with the Santa pj's are just too darn CUTE...love!!! Love that little swirl for Santa's pajamas for his beard! I think I have a scallop punch I can use to replicate a similar effect as I love the pj tag. This has been so fun! I love the stockings! So sweet. Love them all! Tracey, your Santa in pajamas tags are delightful! They really make me smile! Your Santas in pajamas are too cute! I definitely want to make some now! Oh wow--so creative with the plaid tags, Tracey! I am inspired by your fun Santa in PJs tags! I have that cute die set too! Loving plaids like I do, of course your Santa's pajamas tags inspired me today. Love the different colors! They all seem to pop against the black accents. Love all the tags today (I'm a real Waffleflower fan), but Tracey your Santa PJ's are truly inspired and soooo clever!!! Love those sweet tags Tracey, what a fun idea and fun way to use plaid! 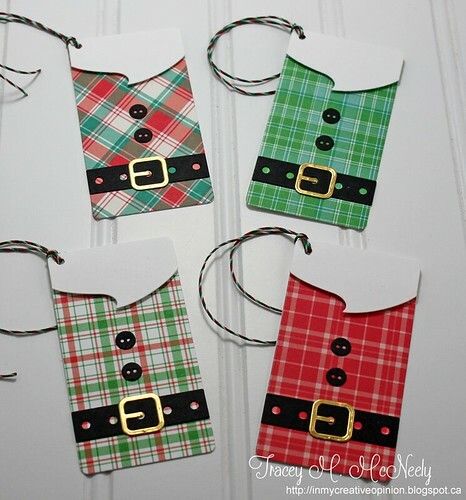 Lovely tags--my favorite is all of the plaid Santa tags--love these, just catch my eye today. Thanks for sharing. Wonderful inspirational tags! Love Channin's delightful stockings! Love the plaids you used for the Santa tags. Love your Santa's pajamas tags! 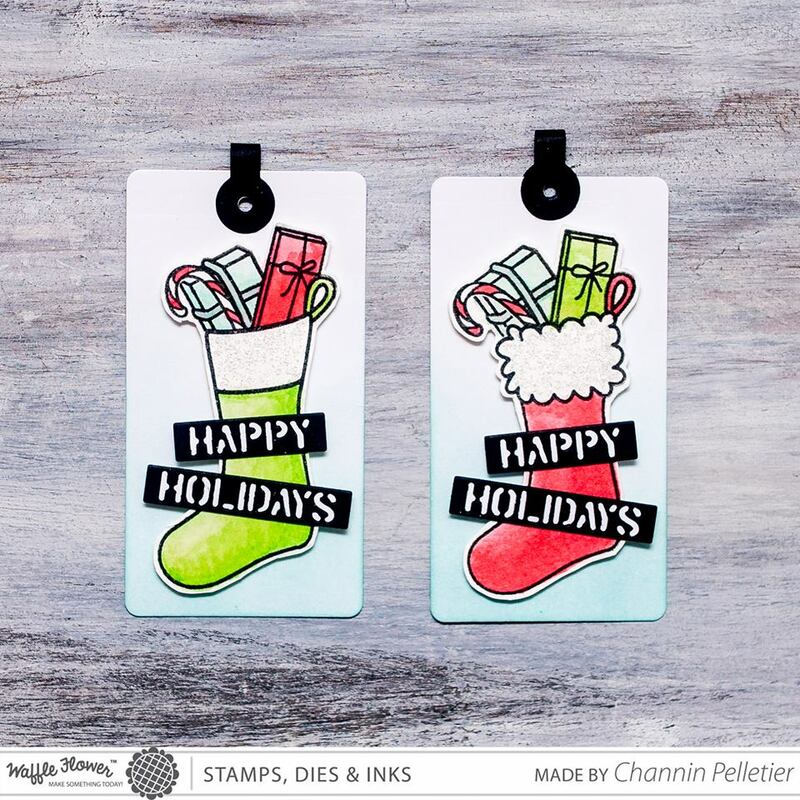 Love all of Channin's stocking tags and your plaid PJ tags are way too cute for words! ♥ them! Beautiful tags !! I love tags with shapes so the stockings full of gifts and the plaid santa clothes both designs are my favourites!! Really adorable tags..so fun. I'm so happy I have the stockings stamp set by waffle flowers. Maybe I'll try making a tag with it!!! Oh, my! These are just as cute as can be. Such fun tags. Love how the stockings look so different on black and white backgrounds and your plaid tags are so cute! Love them all - especially the little elf suits! Love the plaid santa shirts! 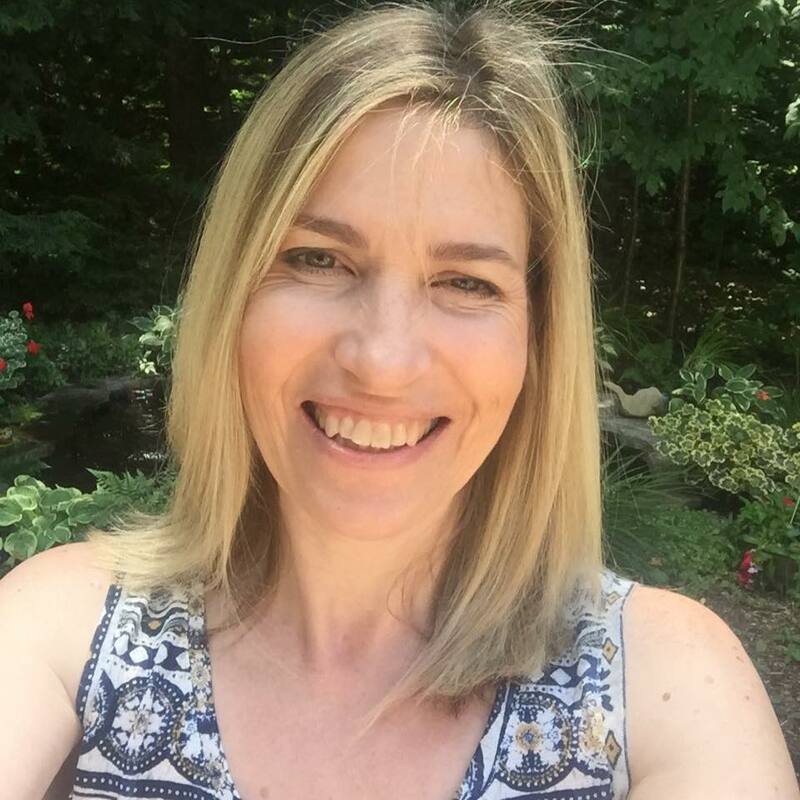 Thanks for making our inspiration choices a teeny bit easier today, Tracey! :D I could happily be inspired by all of them, but went with your cute Santa tags today. 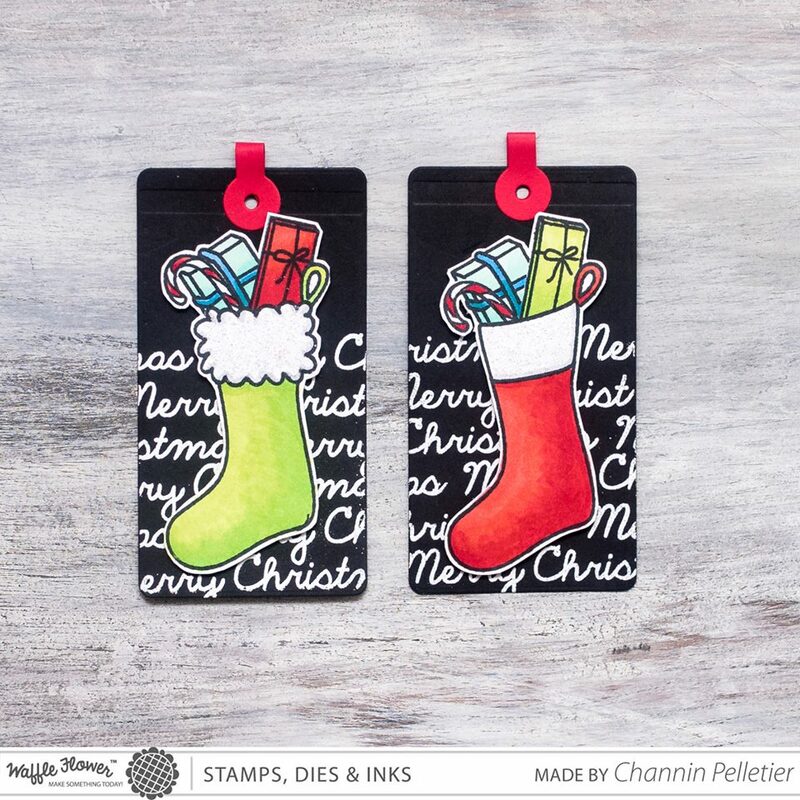 Love Channin's festive stockings and your perfectly adorable PJ tags!! I love all the plaids in Santa's PJs. These tags are all so darn cute. I love how they are the same design with different colors, it just changes the look of them so much. Thanks for another great day of tags. Oh, I just love your Santa's in pajamas tags, Tracey! The plaid papers are fabulous, and I love the gold buckles...so fun! Your clever design is so inspiring...Thank you! I love the sweet Santa tags, great idea! Super fun tags! Love those stockings and Santa tags! Your little plaid Santa pajamas are so darling, Tracey!! 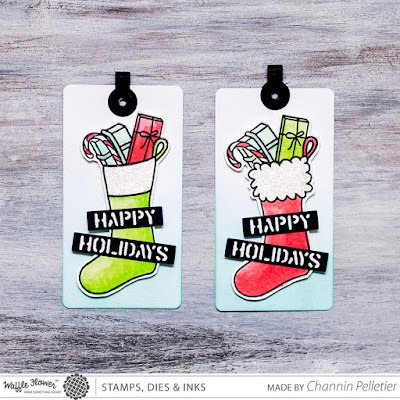 And I love the look of the text behind the stockings on Channin's super cute tags! Incredibly adorable. Love all these fun tags. They look so good as multiples, too. Love the little Santa outfit tag. So fun! Oh those Santa Belt tags are too adorable! Both are so cute and love the different versions. Love the simplicity of the belt and buttons on plaid! Love the plaid Santa jammies!!! Stinkin' Cute!!! I like the bright stocking colors and the cute plaid papers! Love your Santa's in pyjamas Tracey, they are so novel. These are all so cute but Tracey, those Santa's in pajamas are just over the top CUTE!! Tracey, YOUR tags are so clever and so unique! Love them and I love the stockings filled with gifts too! Oh my gosh! 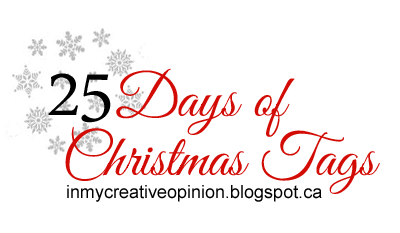 Your Santa's in pajamas tags are super cute!!!! Your plaid tags are simply adorable Tracey! Love allthe different colors. Oh I love your tags with the little black belts! I love how the white on black background really pops. Love the plaid shirt tags. Oh my! These Santa Tags are awesome! Haha! That collection of plaid Santa suits made me laugh...love it! Adore your santa tags. The plaid...love! Adorable! LOVE the plaids and the fabulous WF tags! So many beautiful tags!! I love yours in plaid Santa's pajamas! I'm inspired by the plaid.